With our practically motionless lifestyles, long working hours, and hardly any time to take care of your bodies, the only thing we can do is to make sure that at least our office chairs are comfortable. After all, seating in front of the computer screen for eight hours straight is stressful enough for our health, and seating in a cheap, malfunctioning chair will only make the things worse. If you want to avoid back and spine problems (which never completely go away once they start), you should make sure to find yourself an ergonomic, fine quality computer chair . It is impossible to adjust the height of your computer desk, so the chair you are using should definitely be adjustable. So far, this is the only way to ensure that your back and arm position regarding the table is comfortable. It is possible to adjust chair height mechanically or pneumatically. The latter one is a far more user-friendly option. There is no universal description of an ergonomic seat depth and width. Still, you should feel comfortable when you seat – not only for five minutes but for hours. If you feel the urge to shift positions every couple of minutes – your chair is obviously not comfortable. Cushion material should be padded, but it should neither be too hard, nor too soft. Leather, for example, looks stylish, but it is usually hard and it is not breathable. Simple fabric cloth is usually the best option. Lower curve of human spine needs support during long hours of seating. If there is no lower back support, you will be forced to slouch when you work. Backrest angle should also be adjustable – after all, we are different, and we prefer different positions. Also, make sure that the mechanism is not too shaky – otherwise, you will have to readjust the back all the time. Adjustable armrest ensures the natural position of your arms, which is also very important to reduce fatigue after long working hours. Swiveling mechanism is the final feature that defines the usability of your chair. You might think that rotation is not important – but in fact, it is – you’ll just never know until you try it. If you think that your current chair does not meet some of the above-mentioned criteria, it is advisable to start looking for another one – and the sooner you do that, the better. Practically any furniture store will offer you dozens of different computer chair models. Most descriptions in online furniture stores are pretty accurate, but if you have little experience in shopping for ergonomics computer furniture, you should probably visit a couple of onsite stores. 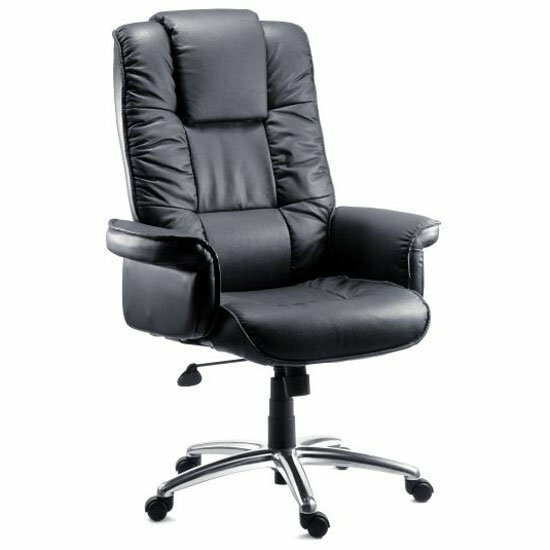 Plus, several UK e-commerce platforms have showrooms in the country, which can also help you to get a general idea on how a truly comfortable office chair should look like.